Unable to attend classes on the UCI Campus? HMR at Home® is your best choice for weight loss! All the food and materials you need to get started with 3 weeks of weight loss—Just add fruits and vegetables. 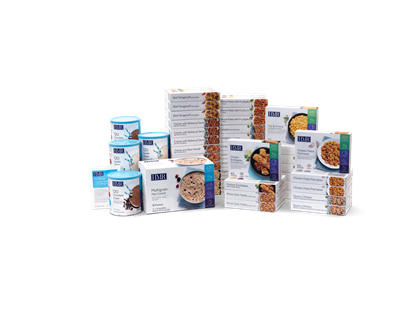 Your kit includes a 3-week supply of HMR® Shakes and Entrees. Plus, your first kit includes a Quick Start™ guide and CD, a Program Support Guide, and a recipe book to help you get off to a strong start!